BinaryOptionsNow – Once again, British regulators in continuation to their long probe into possible manipulation of currencies market by six major banks. The UK’s Financial Conduct Authority (FCA) this week were into preliminary settlement talks with lawyers and executives following investigating forex providers and the UK’s Barclays PLC, US banks Citigroup Inc. And J.P Morgan Chase and Co, Royal Bank of Scotland Group PLC and HSBC Holdings PLC and Switzerland’s UBS AG. In the meeting, Chief Executive Martin Wheatley (FCA) together with other FCA Officials were all in agreement that their main goal is to reach a group settlement with the involved banks probably in the next eight weeks. However, in the course of the discussion, one person raised the possibility of delaying the timetable. The six banks, according to sources were told by the FCA to expect a fine of more than the GBP 160 million, averagely $US261 million which allegedly was paid in 2012 by UBS to settle the UK’s investigation into interest rate rigging. This Forex investigation, according to sources, is about to reach completion as both banks and the regulators were all in agreement that a settlement should be reached in order to avoid exhausting years of legal and regulatory woes and financial uncertainty supposed to have dogged the investigation into the interbank offered Libor or rate. Despite the fact that the US department of Justice has been investigating the same matter since last year, this FCA settlement talks did not include them. Possibly, even after settlement with the FCA, this matter is unlikely to end very soon with sources claiming that the US case is likely to persist into 2015. In the meeting, bank executives from the six involved banks were of the idea that they be given a joint settlement fine in order to avoid a situation where the fines and penalties extend over to several years. In addition, they all concurred to the idea that they should be able to learn from the ongoing Libor probes. However, banks are still getting used to the idea of striking deals with regulators, some fearing that it will become a symbol of perceived wrongdoing; referencing to the 2012 Barclays saga which was engulfed in both political and media firestorm due to consequence from the settlement from the rate rigging probes that ended with several executives being fired. Ever since the investigation started, up to now, more than 25 forex brand managers and executives have been fired, others suspended and many put on leave. The short term impact of this probe on Forex services is staggeringly negative as banks are now forced to provide less and less market color owing to fears of being perceived inappropriate by the regulators. 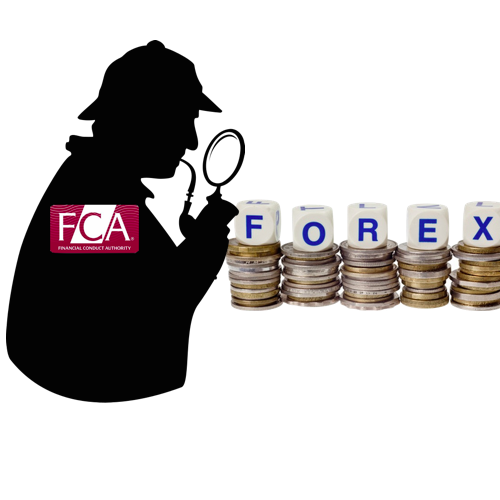 This Forex investigation initially started in 2013 and focused on the possibilities of banks colluding to manipulate the forex market but as time progressed the regulators changed their focus in investigating the likelihood of brokers defrauding their customers and whether banks lack adequate internal oversight to oversee smooth engagement of the foreign exchange markets. Owing to the Forex investigation, about a dozen lenders have been fired with over 30 employees being suspended. The meeting was covered by Sky News and as we wait for things to settle, we can only hope that its impact on the customers be addressed to avoid possible inconveniences.